This Is the best pushchair I've had (I've had quite a few with my daughter so knew what to get this time round for my boy) it's got a spacious basket, quite a heavy duty fame but lightweight and fairly early to push. We have had this buggy for two children lovely pushchair easy to use, but it is starting to go slightly flimsy over time but still love it. It also isn’t a very big base so fits into the boot of a car easily. I bought this for my daughter when it was on offer I got the red colour pack. It will go both parent facing and world faving. My daughter is nearly 2 and we are still using the pram. It's easy to push and control my daughter enjoys been parent or world facing. I bought this travel system for my 1st child and thought it was great. Against all the other (more expensive buggies) it was the one I liked the look of most and found really easy to fold and put in the boot of the car. I also bought the isofix for the car seat which was a massive time saver and so simple to use. It doesn't have a cup/bottle holder. Great value as comes with everything you need. Very spacious inside and comfortable to push with swivel wheels. Downside is the frame seem a bit wobbly at times took back to mothercare who said this was normal for this pram. Easy to push and steer, even with one hand. Looks comfortable for the child. Doesn't fold very small so you need a fairly decent sized boot. I bought this for my second child as I needed a pram that I could push and steer with one hand, which it does well. I found that being able to put the car seat straight on to the pram made it very easy to use while out and about. It had a good sized shopping basket which has come in very handy, and when in pushchair (rather than carrycot) mode, it can parent or world face. The only thing I found not so good is that it doesn't fold down particularly small, you have to take the chair part off and then the frame goes almost flat. The larger wheels do come off which has helped when putting it in smaller boots. Mothercare have also been very helpful when I've had any problems (needed a replacement Raincover and hood). I bought this travel system for my youngest when it was on sale I instantly fell in love with the lightNess of it compared to the system I had for my older children it's like pushing air.I should probably mention the car seat was never used as I don't drive so I can't pass judgement there. I love the fact that the seat is multi position and lasts from birth until they are ready to move on to walking . Folding is a bit of a pain in the bum, if like me while your out you like to see and talk to your baby *it can only be folded with the seat unit world facing* while a pain it's not to hard to remove and flip seat around but it is a drawback non the less. The suspension is amazing, The handle can be extended super easily, breaks work well everything about this pram *bar the folding* is so simple to do, it's effortless. The only drawback I can find is that the rain cover doesn't have a middle opening this wasn't great with a reflux baby. This is a lovely travel system which would have lasted my son till he was a lot older had it not been so bulky. It folds down into 2 separate parts making it just as big when it's folded down and it's also quite heavy to get up and down stairs. On the plus side the wheels make it very easy to go across grass and mud and it's a great all rounder buggy. You can also change the colour packs. It has lasted me 2 years so far and still going strong. When in buggy mode it does not sit all the way up. I bought this travel system 2 years ago and my 2 year old is still in it now. Easy to put together and change from carry cot into a buggy as they get bigger. It is easy to manouver and comes with carry cot lining and foot muff for winter so very cosy. Only real downside is that when in buggy mode it does not come all the way up which can be frustrating for my little one. I have started putting a cushion behind her so she can sit up right. This pram is fantastic and is so easy to use and fold up etc! The storage bag underneath is a great size. This buggy will last right through from birth and looks extremely comfy for you’re little one. Only criticism is sometimes the frame feels a little wobbly. Would def recommend. Mothercare's Roam Travel System is suitable from birth, and is a complete travel system which includes an infant carseat meaning you have all the essentials to take your baby from A to B! 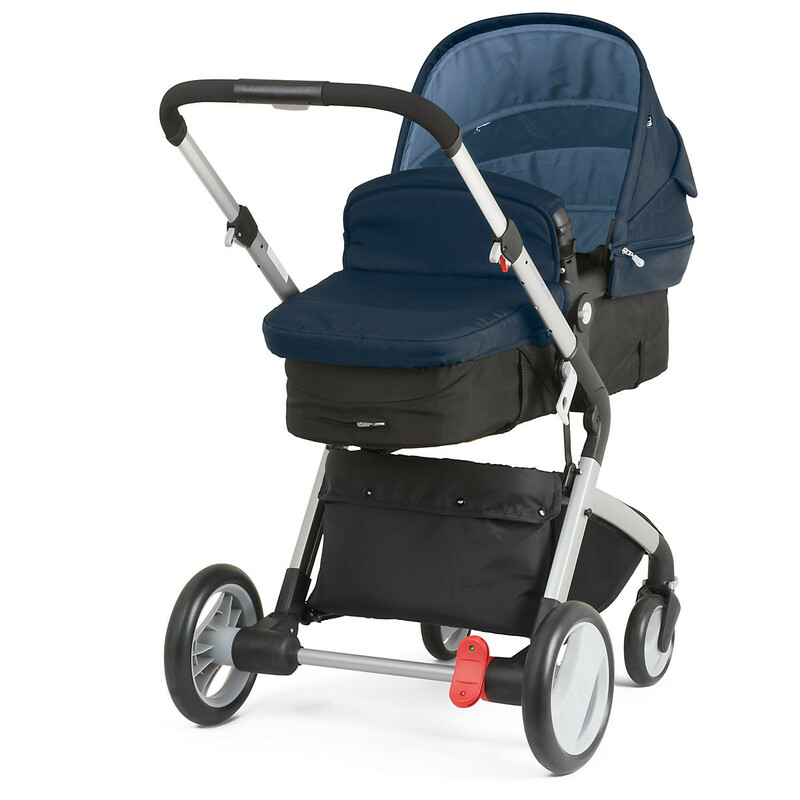 The Mothercare Roam also comes equipped with a pram apron, seat liner and and chest pad. The flexible pramette seat unit converts to a lie flat pram mode meaning your newborn can travel in comfort. Choose between the parent facing mode to build the bond between parent and child, or as your baby grows use the forward facing mode. 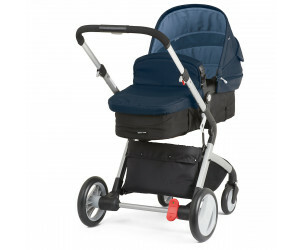 To use the Roam as a travel system simply attach the infant car seat directly to the chassis.